The majority of Ethiopia's population live in rural areas and when they are ill many do not seek medical advice, but a new government programme hopes to change this at a local level. Eynalem Taye (L) wants to take her training further and become a doctor Eynalem Taye is 23-years-old, but her tiny frame makes her look like a slight teenager. The daunting task to get universal health coverage in Ethiopia is and has been extremely difficult! When you take the young aspiring doctor’s attitude in this story in to account, it is a miracle what the EPRDF government has achieved so far in health coverage! Thank you Aynalem Taye! Nurilen Ehetachin! How Ethiopia is getting health care to rural areas by training local women to provide it. Open Letter to President SRS, Abdi Mohamud Omar. “The generation of power does not use up water. 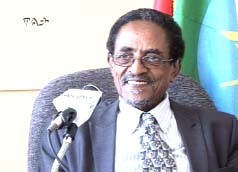 It only uses the energy that was contained in the water,” Dr Tewolde Berhan Gebre Egziabher, Director General of the Environmental Protection Authority of Ethiopia. Mammo Muchie April 24, Ethiopia is in a strange paradox: Ethiopia reminds me of Witgestein’s prescient remark of a nation being run by elites who are trying to disrupt its future ...What is wrong with holding on and inheriting our Ethiopia and add modernisation, renewal and democratisation without breaking the framework and subtracting the nation and parcelling the state? Dr Mammo, to be honest with you we think the current political leaders holding power are trying to hold on to the Ethiopiawinet you mentioned which all Ethiopians can be proud of! The new Ethiopia where all the nation and nationalities are proudly defending is built on the firm foundation of Adwa and Metema so to speak. 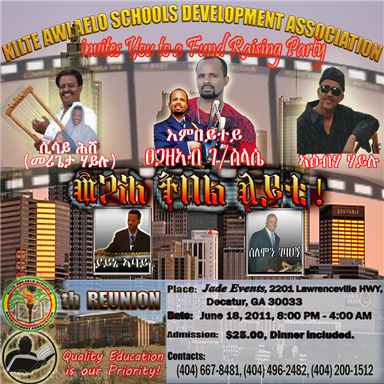 What is really problematic to us is that why are some of our current generation politicians and educators unable to see the Ethiopiawinet of the yesteryear that equates mainly the Amahra and Tigray culture as that of Ethiopia is not acceptable to the other nation and nationalities? The assimilation road was tried and it did not work Dr Mammo! 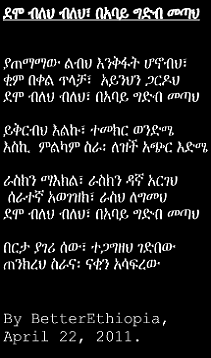 Let the Tigray and Amhara keep their proud culture but let us also allow others to do likewise! 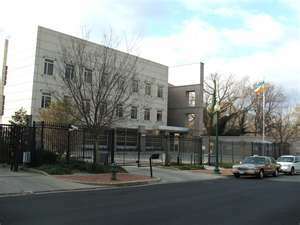 Ethiopian embassy staff in Washington DC pledge to put up Birr.350,000, toward the building of the Grand Renaissance Dam! 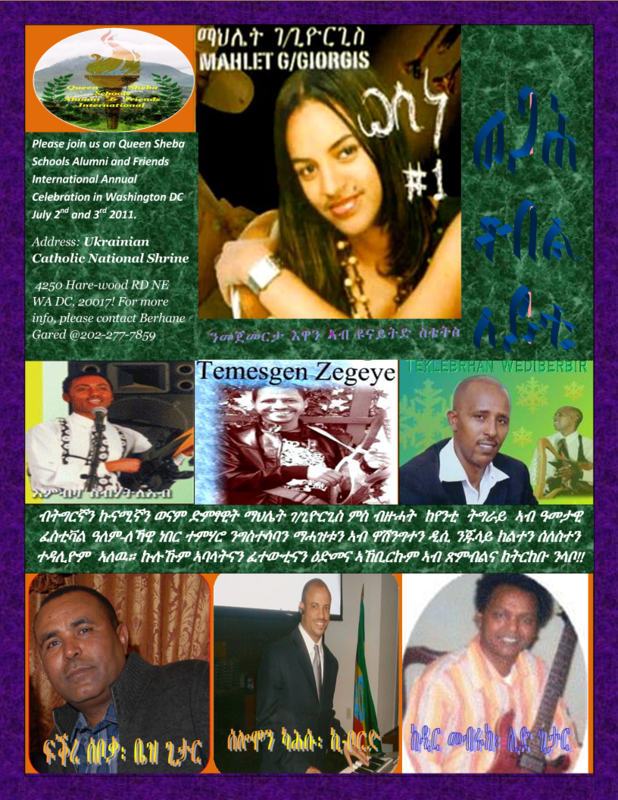 /April 22, 2011, Tsehaye Debalkew, Washington DC/- Staff members of the Embassy of Ethiopia in Washington DC., have pledged to chip in Birr. 350,000, toward the construction and realization of the Grand Ethiopian Renaissance Dam to be built on the Blue Nile River in Beni-shangul Region of the country.. Very good article on the Great Ethiopian Renaissance Dam at Blue Nile, although, it has the usual "Reporter" bias to the negative when it comes to the EPRDF!